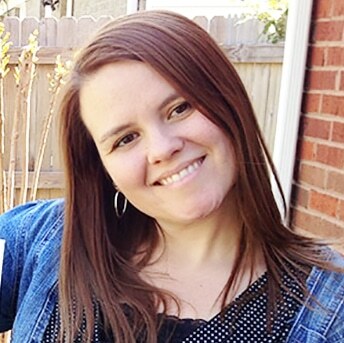 I’m a couple of days late this week in posting my pregnancy baby size updates! It’s been a crazy week and it’s only going to get crazier as the weeks go by. This week the baby is the size of a cucumber and I am finally into the 30th week of pregnancy! Wow! That means there are about 9 more weeks left for me (or less). I was really glad this week was a cucumber because I was craving something fresh. 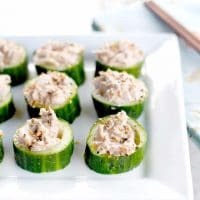 I thought of these cucumber cups with tuna in them and decided to give them a little asian taste. I love how they turned out! Sometimes it’s hard for me to see the comparisons they make with the fruits and veggies. 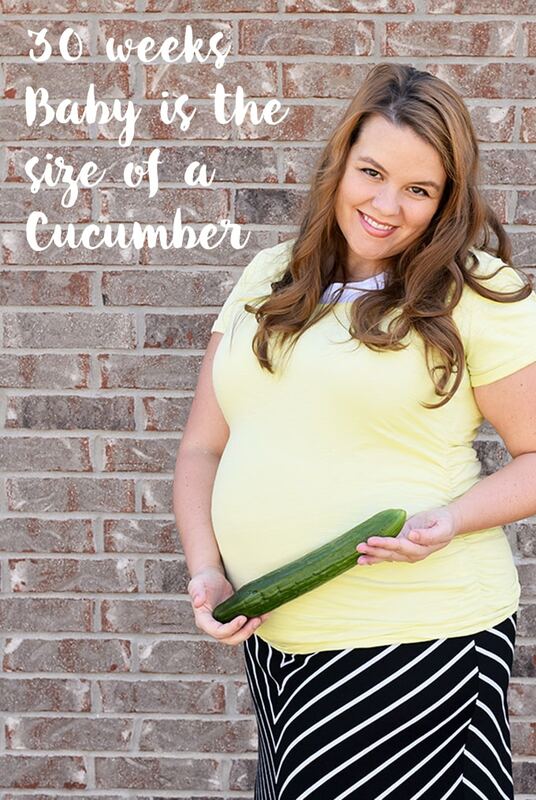 I am assuming that a cucumber is about the length of the baby now. Sort of a stretch to go from an acorn squash to a cucumber, but oh well! It’s still fun to visualize. 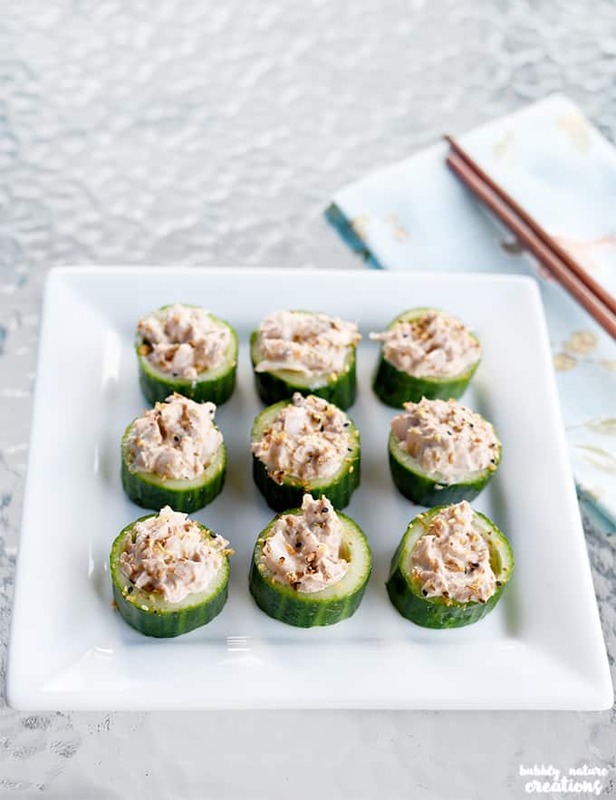 Take the cucumber and cut into 1 inch slices and hull out a small portion from the middle with a melon baller. Set aside and in a medium bowl combine the rest of the ingredients and mix well. 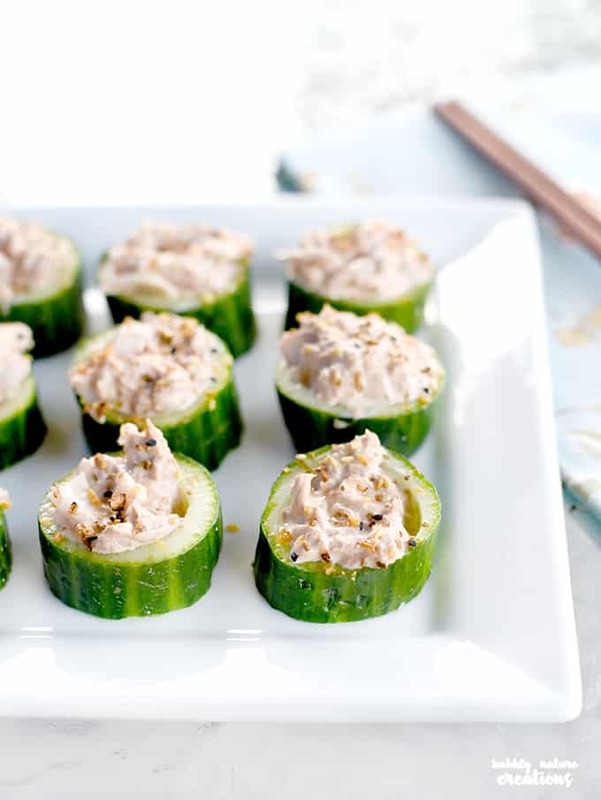 Spoon mixture into the cucumber cups and sprinkle a little more of the spice blend. Serve immediately or refrigerate for a couple of hours. I have had a lot of fun making up these recipes every week! It sure helps to pass the time and think of all the growth that our baby boy is doing inside. Be sure to check back next week for more.